True Blood star Stephen Moyer has officially connected his name to “Facing The Atlantic”, a project of the Facing The World humanitarian organization. Stephen Moyer is working closely with his fan sites to raise funds for a cause that is very close to his heart: Facing The Atlantic. 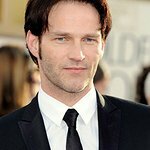 The fan sites TrueBlood-Online.com (aka The Vault) and AllStephenMoyer.com will conduct a series of eBay auctions in close collaboration with Stephen Moyer in a combined effort to raise as much money as possible for this worthy cause. The first auction ended only days ago and raised $830 for a personalized photo signed by Stephen. Auctions will continue until the end of the year. Facing The Atlantic is the daring project to raise funds for the humanitarian organization Facing The World. Actor Bertie Portal (“The King’s Speech”) and personal trainer James Cash, will participate in the Atlantic Woodvale Race and row nonstop from the Canary Islands to Barbados. The goal of this amazing adventure is to raise £300,000 (approx. $482,000) for the humanitarian organization Facing The World. Bertie Portal is a personal friend of Stephen Moyer, he was Stephen’s best man at his wedding. Bertie was also a good friend of the co-founder of Facing The World, surgeon Martin Kelly. 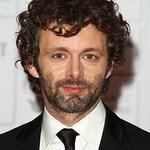 In 2008, Kelly passed away at the age of 43, leaving his wife actress Natascha McElhone (“Californication” and “The Truman Show”) and 3 children behind. Stephen and Natascha have been friends since they studied together at The London Academy of Music and Dramatic Art. Stephen Moyer is dedicated to help his friends raise funds and spread the word about Facing The Atlantic and Facing The World. Facing the World is a UK charity that provides life changing facial reconstructive surgery for children with severe facial disfigurements who are not able to access the surgery that they need in their own countries. The Facing the World medical team volunteer their services and Facing the World fundraises to cover hospital, transport and accommodation costs for the children and a parent.